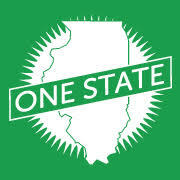 Connect with the Illinois Arts Council Agency. Browse Artists, Art Fairs, Arts Organizations, & more. Explore listings of art fairs and your contemporaries statewide. Helpful web-based resources for Artists, from A to Z. Information for Artists about funding, awards, and initiatives. The Illinois Arts Council Agency acknowledges continuous support from the National Endowment for the Arts. 98/92 % of Illinois Senate/House districts receiving direct IACA support (FY2018). Follow this link for a list of all IACA grantees by Legislative District. $14 billion in compensation for Illinois workers was generated by arts and culture jobs in 2015 Follow this link for details. 133,087 Illinois artists directly benefiting from IACA support (FY2018).